Real Reef Rock is their standard reef building rock. It comes in a variety of sizes from small to show size custom. It is very light, porous and full of holes and crevices. It is three dimensional in shape and comes in many natural shades of purple, pink and red. 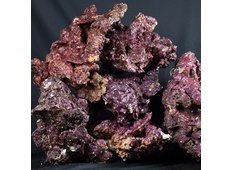 It replicates the look, feel and function of coralline encrusted coral skeleton rock. It’s made from all natural reef eco friendly materials and grown in greenhouses to become a bio-active rock, without the nuisance pests and hitch hikers commonly found on wild rock. 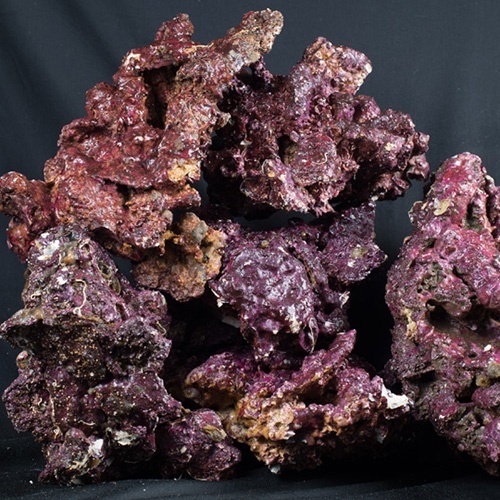 This rock is great for Marine Reef and Fish only aquariums. Not suggested for Freshwater, as it holds a high stable pH. 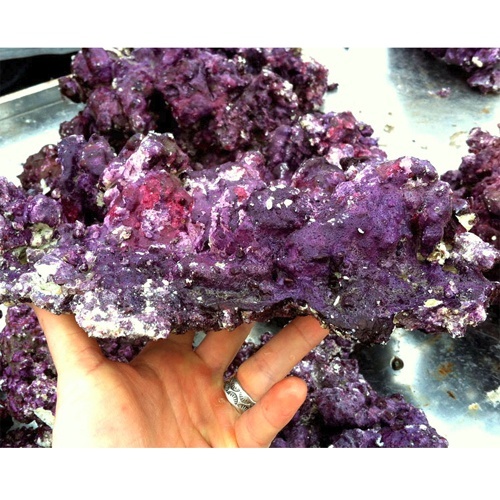 Real Reef Rock is held in our multiple 600 gallon pools so it's full with microscopic life! Real Reef looks, feels and aquascapes like real live rock. Most Aquarists think it's better than the real thing!